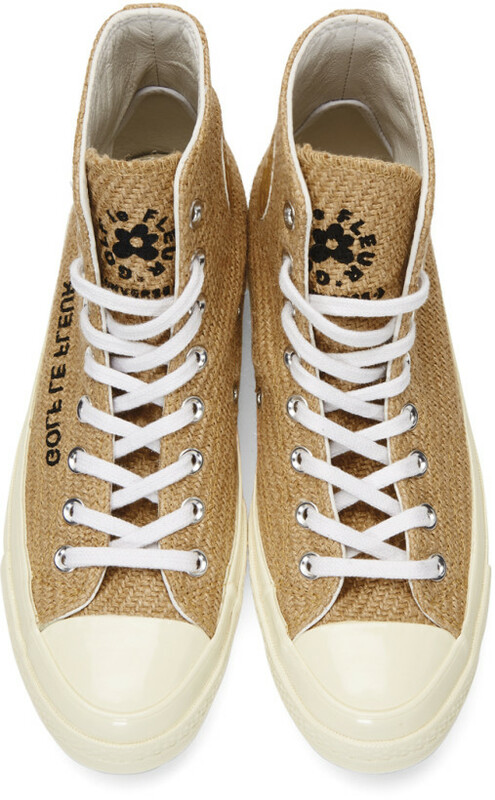 I kind of love it when the classic canvas of a pair of Converse undergoes artistic interpretation. 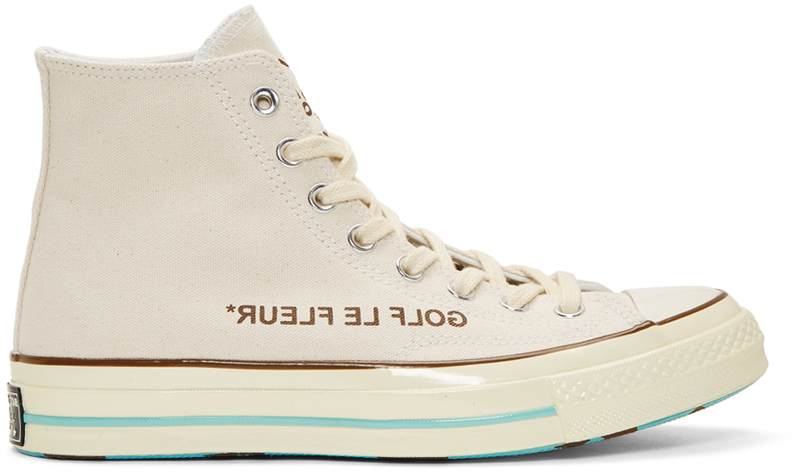 Such is the case with this Golf le Fleur pack from Converse and the collaborative artist, Tyler The Creator. 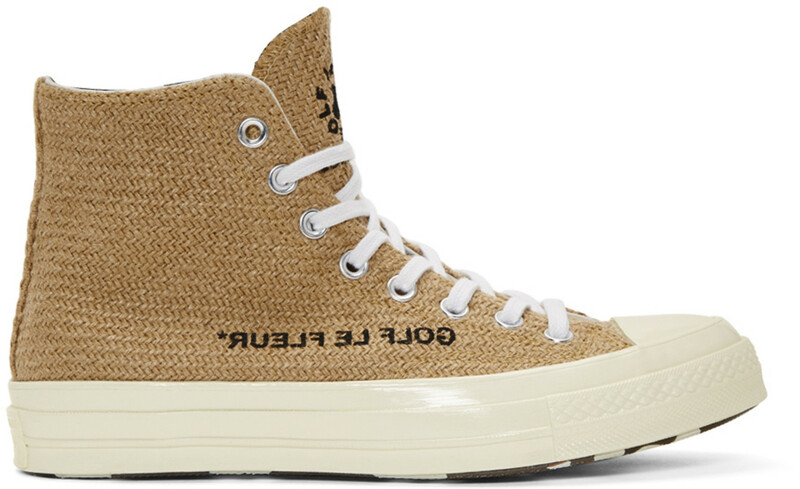 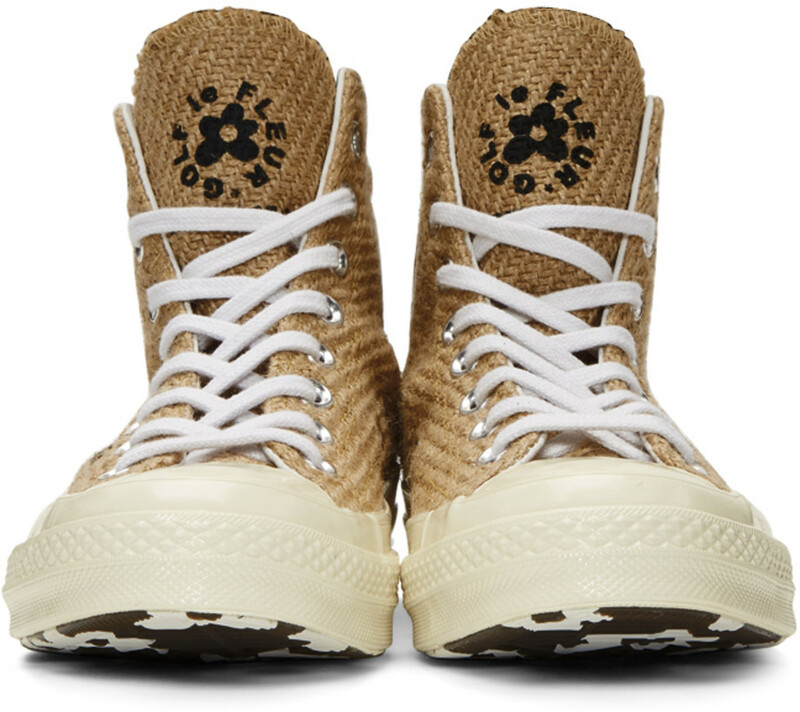 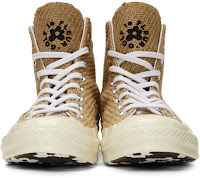 The pack consists of a Chuck Taylor 70 Hi done up in curry beige burlap with an egret off-white toe-cap & sole and reverse black printing on the vamp and black branding on the tongue. 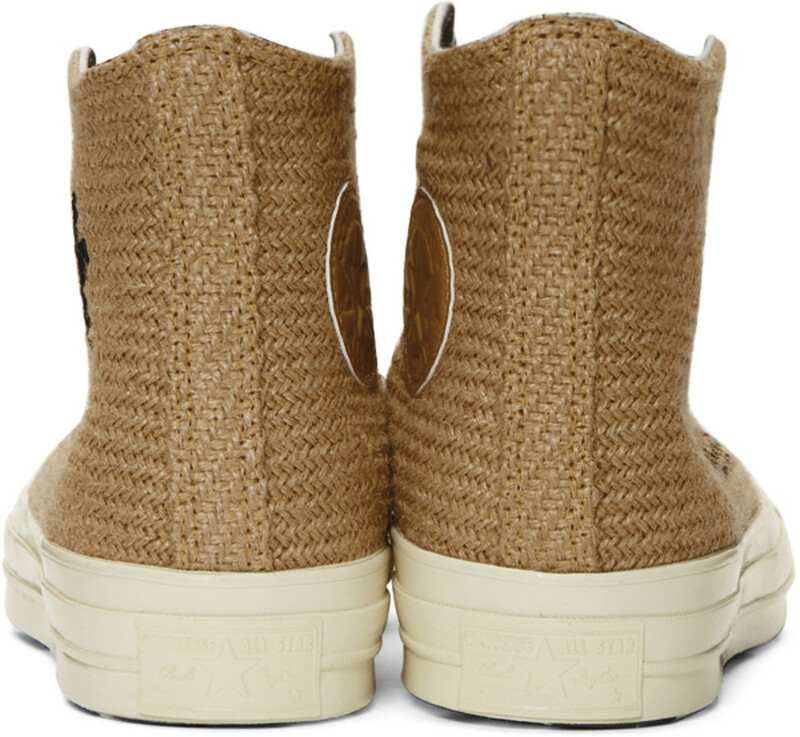 The Chuck Taylor 70 Hi also comes in an egret off-white canvas version with blue and brown striping on the sole. 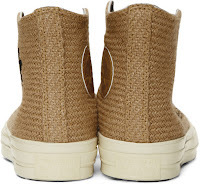 Rounding out the pack is a One-Star Ox sneaker in the curry beige burlap color way. 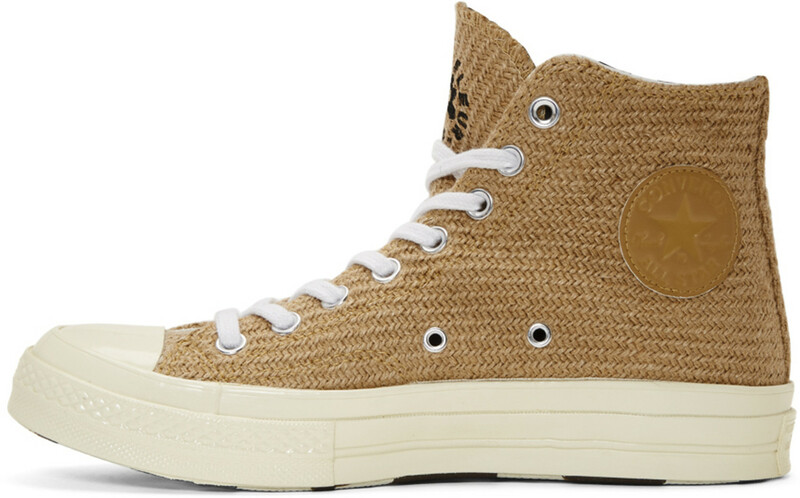 Pretty cool surface treatments for a classic. 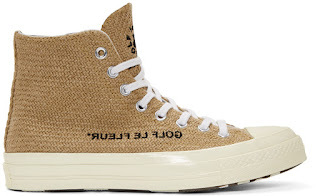 All three style are available now at Ssense.com.